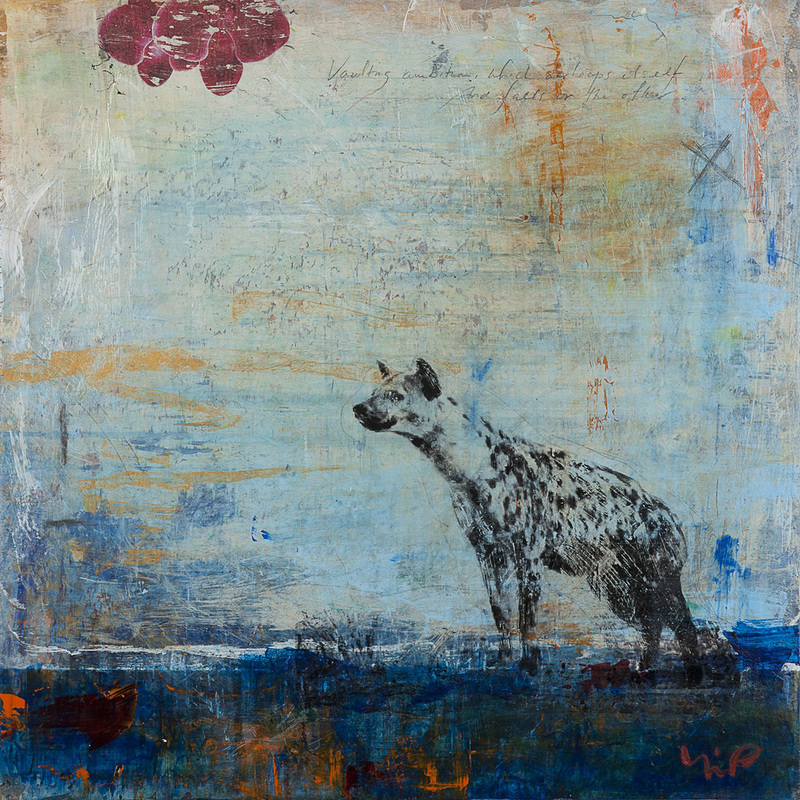 For this painting, I decided to choose a hyena to represent greed, although my original source for symbolism was a frog. I just could not find a suitable image of frog that looked aesthetically pleasing. The hyena is perfected suited little creatures for the role. I have on the upper right the words by Shakespeare: ‘Vaulting ambition, which o’erleaps itself, and falls on the other’. To the upper left, to what appears a red balloons, are orchids, again symbols of greed and opulence.